Who love you? Yes, I know we certainly do. But do you know who also loves you? Rockstar, that’s who. Dropping the price of two of their best sellers on the iOS App Store from now until Monday, August 1st. 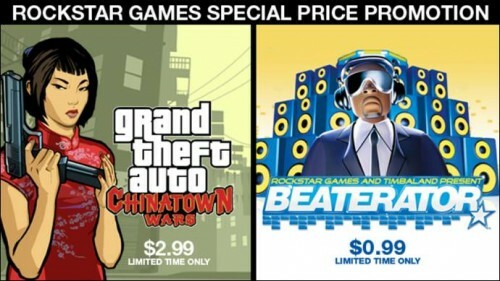 If you head there now you can pick up Grand Theft Auto: Chinatown Wars (iPhone/iPad) for $2.99 down from $9.99 and Beaterator for $.99 down from $2.99. If you don’t know, GTA: Chinatown Wars is a complete GTA experience in 3D rendered from an isometric perspective. It’s a fantastic game, and we here at Capsule absolutely loved it. Beaterator (iPhone) is developed with Rockstar and music producer Timbaland and is a simple to use yet extremely deep music creation app. So head over to the App Store today before time runs out! Will it Blend ??? SURE IT CAN ! !